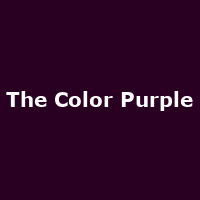 "The Color Purple is the inspiring musical, based on the Pulitzer prize-winning novel by Alice Walker, the classic hit movie and the Tony award-winning production on Broadway. With a profoundly evocative score drawing inspiration from jazz, ragtime, gospel and blues, this landmark musical is directed by Tinuke Craig, winner of the 2014 Genesis Future Directors Award. Tinuke's recent acclaimed productions include Random/Generations, the double bill of plays by Debbie Tucker Green. This moving family chronicle set in racially divided southern America, celebrates life, love and the strength to stand up for who you are and what you believe in."